It's been a long week. When I say long, I mean looooooooooooong! Last week, Gabe had a little bike accident with Paul. He didn't want to walk so we look him to the ER and the sent us home letting us know it was bruised and he should be walking soon. 4 days later he was still out of commission. After every bribe in the book and trying everything to force him to walk, we took him back in. This time, they took x-rays and we found out that he has two fractures. After a full week of cheerleading and coaxing Gabe into walking, I was to exhausted to even be upset. We at least know what's going on and can start moving forward. He has a cast and for the next four weeks. Oh, did I mention this weekend was Paul's sisters wedding too and we found out about him needing a cast 3 hours before the rehearsal dinner?!? Like I said, looooooooooooong week! Well, we got through the wedding and the first few days of a three year old in a cast and we're trying to find our normal. Gabe didn't feel like going outside to play just yet and he was starting to think a lot about his cast. I needed a quick distraction. 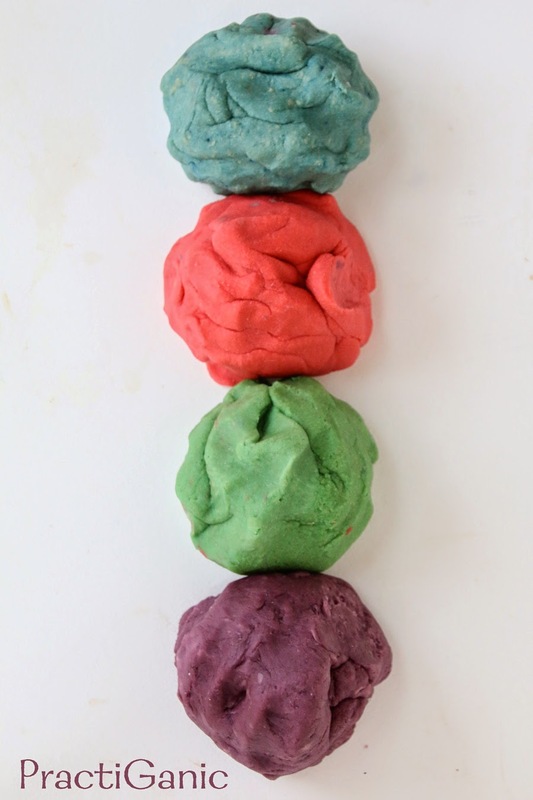 Yes, playdough! They were so excited. I asked them what colors they wanted and I went to work. 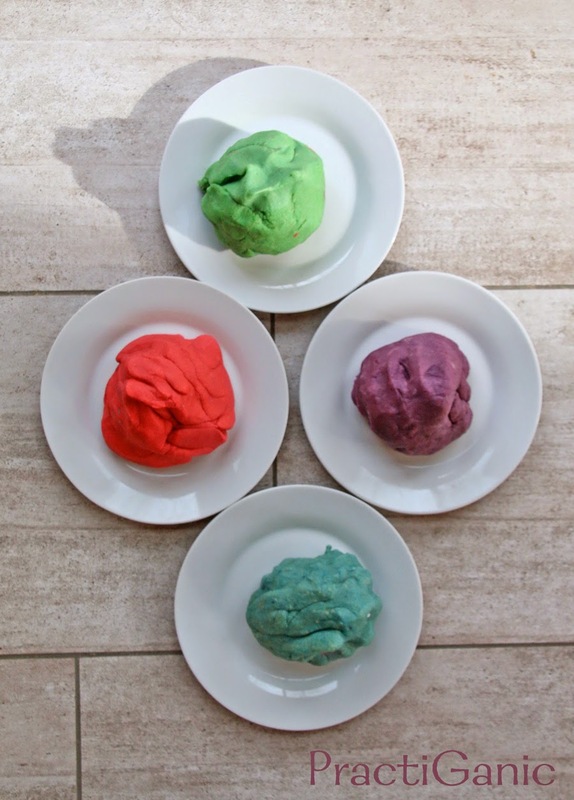 I haven't made my normal playdough recipe in a little while. I was digging through my spice cabinet looking for my cream of tartar and I couldn't find it. My heart sank. I quickly went to Google trying to find a recipe that didn't use it. I found this one on a great mommy site. It worked pretty well, but it was a little tacky. For my next batch I added a little more salt and changed up the vinegar a bit. It was perfect. Gabe completely forgot about his cast (for a good hour) playing, building mountains, making snakes and lizards and even a couple cars. Life was good ... actually, it was great! 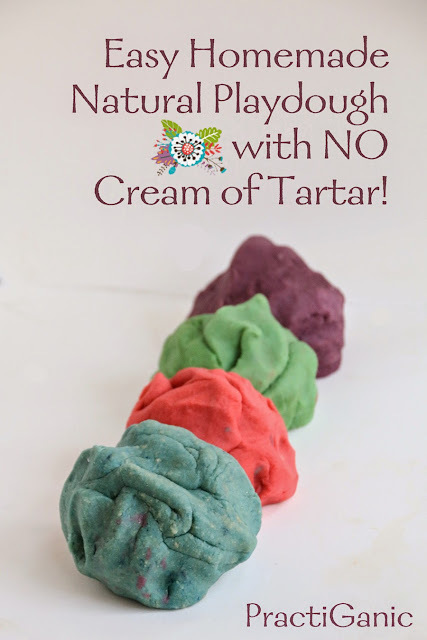 I do love my other playdough recipe, but this one was so very easy! It took one pot and hardly any effort. After the kids were done playing, it stuck to itself perfectly for easy cleanup! If you don't have natural, organic food coloring, check out these great ways to make all different colors using food and spices! In a pot, add water, salt, oil, vinegar and food coloring over medium heat. 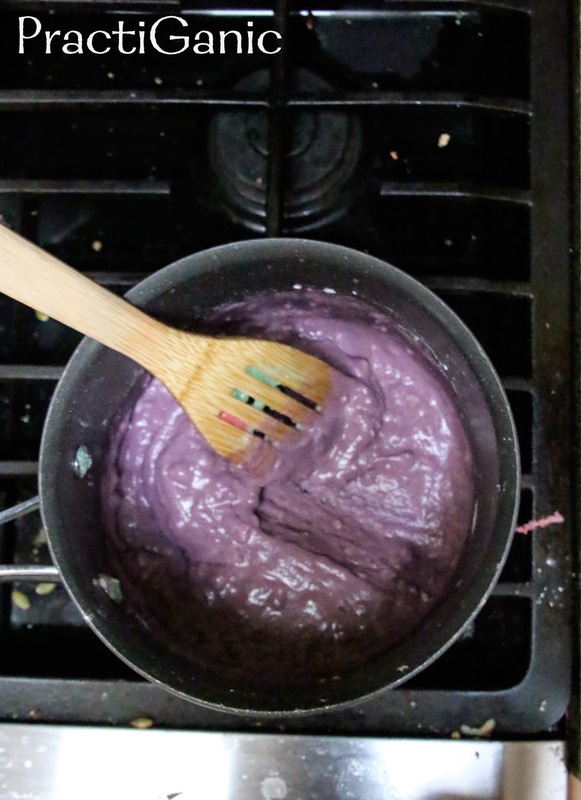 Mix it around so the food coloring mixes into everything before adding the flour. Then add the flour and consistently mix it. 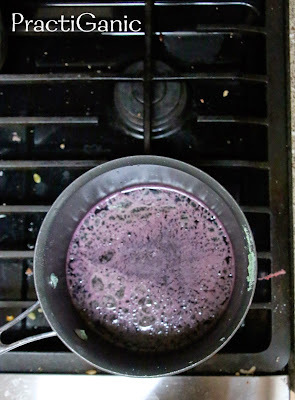 Once it starts thickening around the spoon, turn off the heat but keep mixing until it turns into a big clump. It doesn't take long at all!. Take out of the pot and let it cool for a bit. Finally, knead it for a minute or two. I made four different batches right away and then kneaded them all afterwards so they cooled down. I add in the essential oils as I'm kneading it. 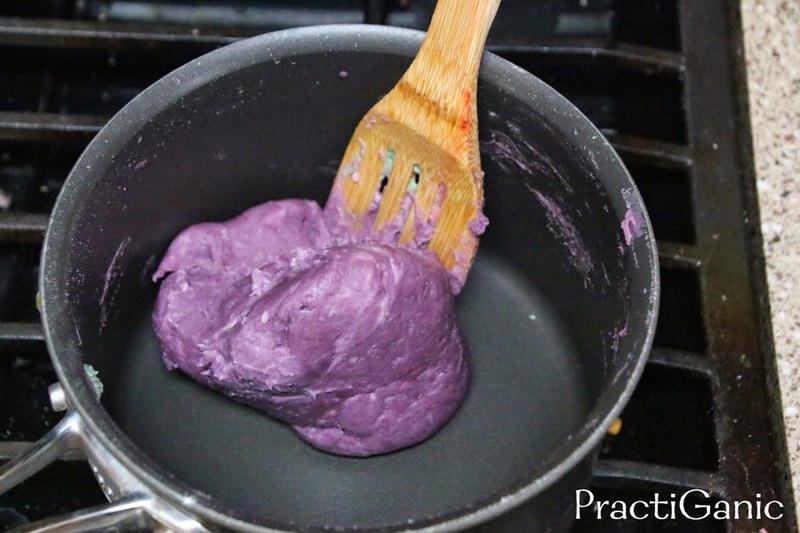 You don't want them heating up in the pot with the playdough. Lavender is my favorite for the kids to play with. I just used two drops per batch.